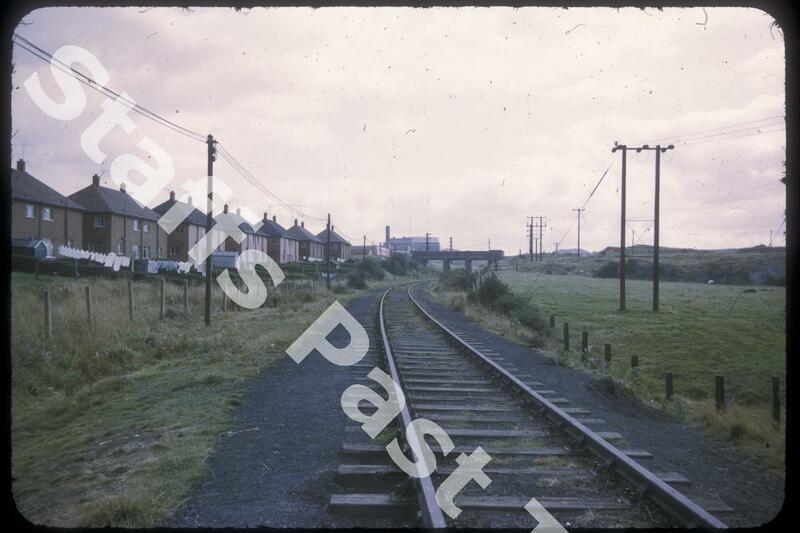 Description:The railway line connected Bucknall and Adderley Green, with Mossfield Colliery just round the bend to the right. 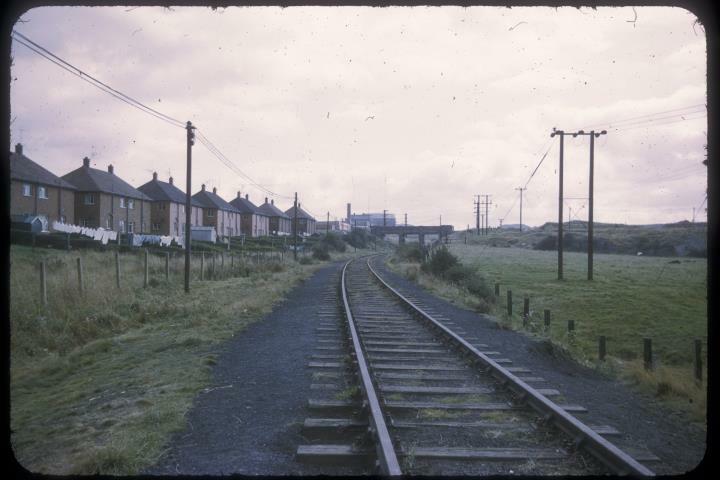 The bridge, now Hall Hill Drive, carried a branch mineral line from the disused Central Colliery. The mineral lines have been dismantled, the route is now Bentilee Greenway. This photograph is looking south and was taken from close to The Lawn Farm moated settlement. The houses on the left are on Templeton Avenue.